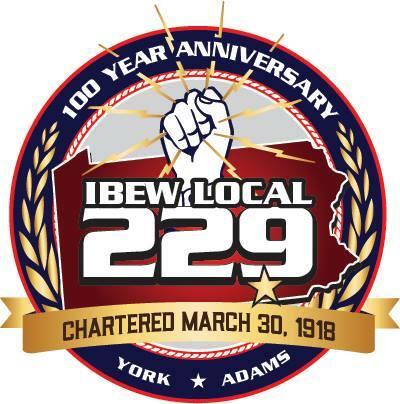 IBEW Local 229 electricians employed by I.B. Abel Inc. from York successfully completed the new Home 2 Suites by Hilton on Pauline Drive in York, PA. Home 2 Suites by Hilton, one of the fastest growing brands in the history of Hilton Worldwide, is a mid-tier, all-suite award-winning extended-stay hotel designed to offer stylish accommodations with flexible guest room configurations and inspired amenities for the cost-conscious guest. The York Energy Center, which was completed in 2011, replicates a model currently in use at the Hay Road and Bethlehem energy centers. The York plant uses state-of-the-art, combined cycle, power generators capable of producing 565 megawatts of electricity. When Calpine acquired the facility in 2010 as part of its purchase of the Conectiv Energy assets, its construction was about 70 percent complete. ES3, LLC is a company that provides innovative channel neutral services and solutions to manufacturers and retailers throughout the grocery industry. York, PA electrical contractor Jno Z. Barton Inc. employing a crew of IBEW 229 electricians performed the electrical construction on the new Shipley Energy Business Center in York, PA. This new state of the art center houses all of Shipley’s Business technology and data center. The IBEW 229 electricians worked hard to meet the tight deadline of the construction completion. Tight deadlines are nothing new to IBEW 229 electricians and professional electrical contractors like Jno Z. Barton. When construction began in 2001, The Susquehanna Commerce Center was the largest and most ambitious commercial development in the City of York Pa. Local 229 electricians employed by IBEW affiliated contractor G.R. Sponaugle Inc. performed all the electrical systems work on the project which included, Commercial condominiums, Historic restoration of 20,000 sf former gas manufacturing facility, Two newly constructed 6 story office buildings, 205,000 total sf of office space and Illuminated boulevard entry with drop-off and pedestrian plaza.